Our facilities provide first-class orthopedic care and sports medicine, complete imaging services using the state-of-the-art imaging systems and a specialized Spine Center that caters to every need of our patients. We have assembled an outstanding group of physicians. 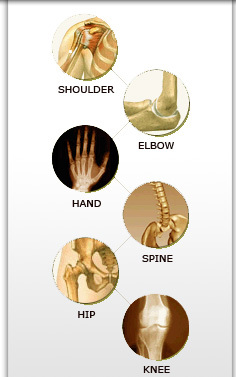 Specialties include hand, spine, physical medicine, pain management, and arthroscopies. Our orthopedic surgeons are energetic, dedicated and compassionate in the treatment and care of your clients. All our physicians have multiple board certifications, having received their postgraduate training at the most prestigious universities in this country. We are committed to providing excellent service to all patients and attorneys. We understand your concerns, as well as a patient's rights under the workers' compensation system. The physicians and orthopedic surgeons in our clinics, provide rapid, comprehensive and concise reports in a timely manner. Our bilingual staff is trained to streamline patient care. Scheduling is performed with an emphasis on decreasing patient wait times. Electrodiagnostic testing can often be done the same day. We are focused on the individualized treatment plans that maximize each patient's recovery so they are able to return to a productive lifestyle. We look forward to working with you and providing you with superior medical care. We are here to assist you with VIP service. We look forward to working with you in the future and serving all your medical-legal needs. If you have any questions regarding our services, please feel free to contact us at one of the offices below.